Let Mercedes-Benz of Bend help you with your new or used car search. We have a lot of Mercedes-Benz cars and SUVs to choose from, but we might not have exactly what you’re looking for available on our lot. This is why Mercedes-Benz of Bend has specialists available to help you find used cars in Bend. Complete the Mercedes-Benz locator form above, and we’ll contact you to further discuss your next Mercedes-Benz purchase. 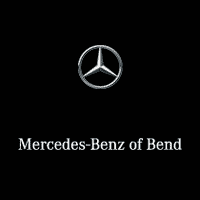 Contact Mercedes-Benz of Bend with any questions, or go online to view our inventory of new, certified pre-owned Mercedes-Benz vehicles, or used cars. Once we find the vehicle you’re looking for, come down to our Mercedes-Benz dealership and take it out for a test drive.